Well I was off the grid for a few days. Last week was quite a week, starting with a 5.8 earthquake here in Maryland on Tuesday (very unusual for us), then ending with Hurricane Irene hitting here on Saturday. This is a picture of the trees that fell into our yard during Irene (yes, that's my vegetable garden under that mess ~ that's ok the stink bugs were starting to take over my tomatoes and peppers anyway). So Saturday as the storm was bearing down, I spent the day here chain piecing and watching the news. 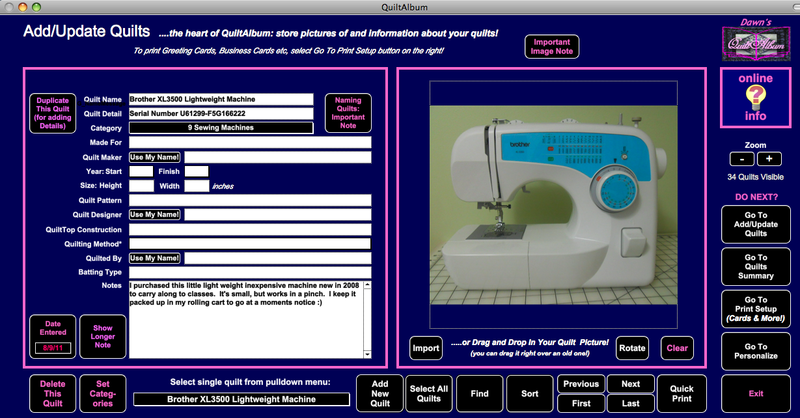 I figured I'd sew as long as I had electric. Then I did have the forethought to press and press while the power remained on for the iron. Then during the night as the strongest part of the storm hit here, we did lose our electric. So I spent Sunday cutting. I thought I'd show you my favorite little ruler for trimming and squaring up Half Square Triangles. 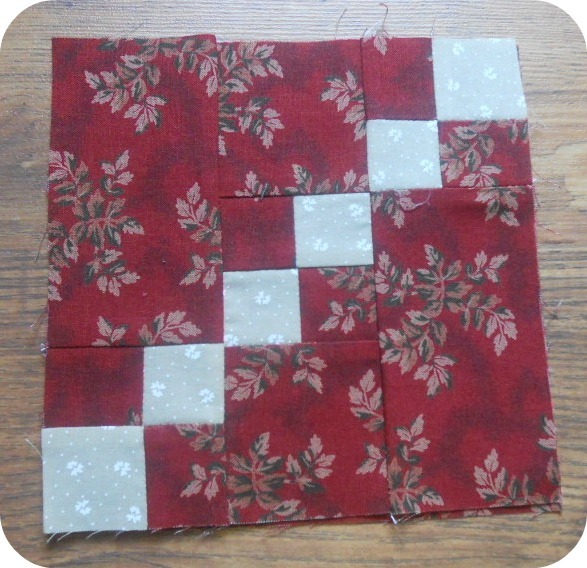 This is the Quilt in a Day Triangle Square Up Ruler. It's so easy to use, just place the line on the middle seam of the HST (here I'm using the 2 1/2" line because that's the size that I want my squares to be cut), and trim on the two sides. And voila, a perfect HST every time ~ and since our electric was off for 20 hours, I have about a gazillion of these little buggers! And don't forget the Notions sale that's still going on at my website if you like that little ruler. Use the discount code TOOLSFORME at check out for 20% off anything in the Favorite Notions section! Then, another Freecycler was offering this little toy Singer chain stitch machine. I photographed it here with my rotary cutter so you can see the size. It was complete with it's little manual, toolbox, and foot petal. It works, but I found it kind of hard to sew on, so I think I'll be teaching Elsie to sew on a real sewing machine when she's ready. I love treasure hunting and finding them a good home! Now I have to add my new finds to my Sewing Machine collection documented on QuiltAlbum. If you aren't familiar with Freecycle, and their philosophy of re-use to keep items from the landfills, check out their website to see if there's a Freecycle Group in your town. 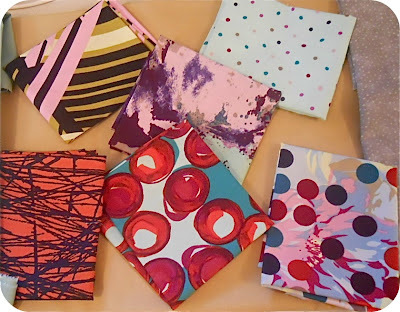 I've been doing a lot of playing with fabric lately ~ all kinds of fabrics. 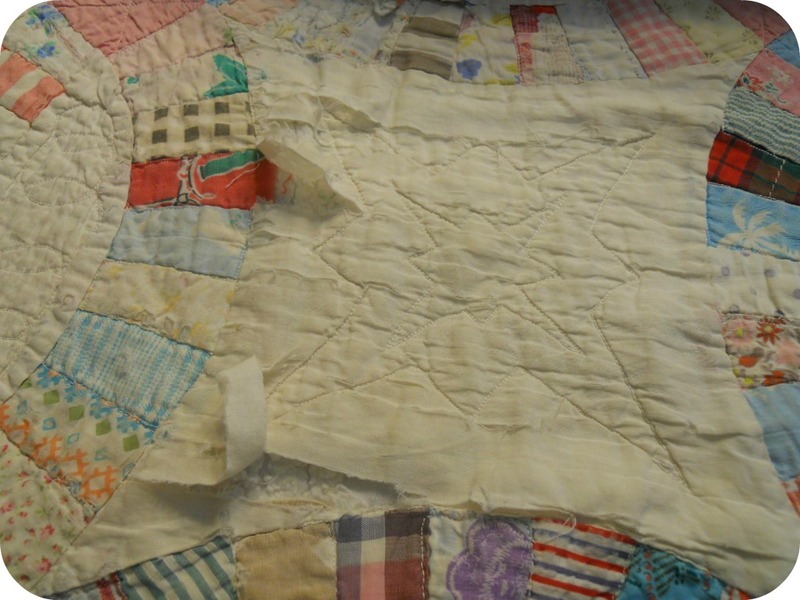 My handwork time has been occupied with the sweet old fabrics in this delicate vintage quilt that needs a little TLC and stabilizing for a customer. This is one of the "before" shots...stay tuned for some "after" photos later. 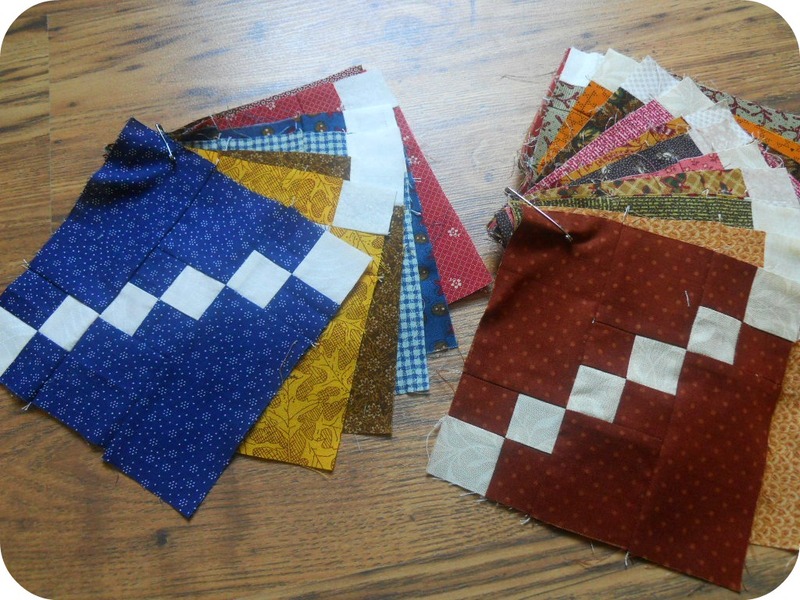 Then in my playtime, I've been cutting up scraps with a traditional feel to make swap blocks. This block is from the High Cotton quilt pattern in the book Simple Comforts by Kim Diehl. 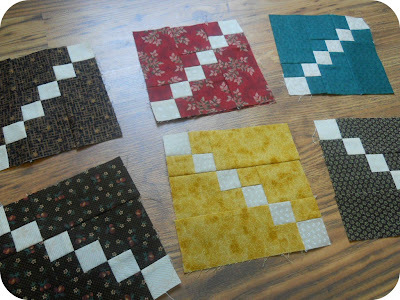 I got to have a little sewing play date with a friend yesterday and I made six sets of blocks to swap with my friends. ...And the really cool thing about swaps: here are the blocks that I received today (yes, one over achiever friend is working ahead of us). We've been making a lot of sweet upgrades over on The Spring Water Designs Website (Browsing is much easier, and we can accept credit cards directly without going through Paypal now! ), so I thought that was an occasion for a sale! Since this time of year all the kids are getting new school tools, we should be able to treat ourselves to some fun new tools too ~ right?! 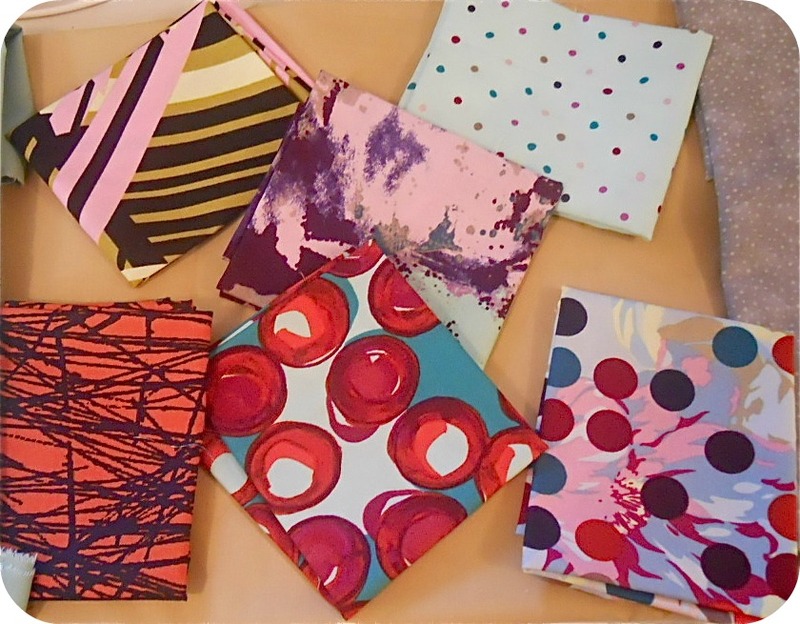 So from now until September 10th I'm offering 20% off everything in the Notions Section on the Website! Just fill in the Discount Code: TOOLSFORME at the checkout to receive 20% off the retail price. I have a new newsletter up on the website Here. Make sure that you subscribe to the newsletter to always hear about special offers and sales, and other upcoming fun things! (I won't bug you too much, I promise). 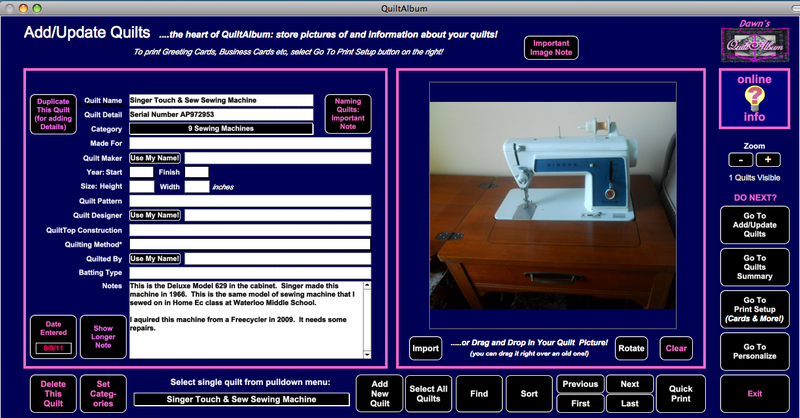 Another Practical Use for QuiltAlbum! 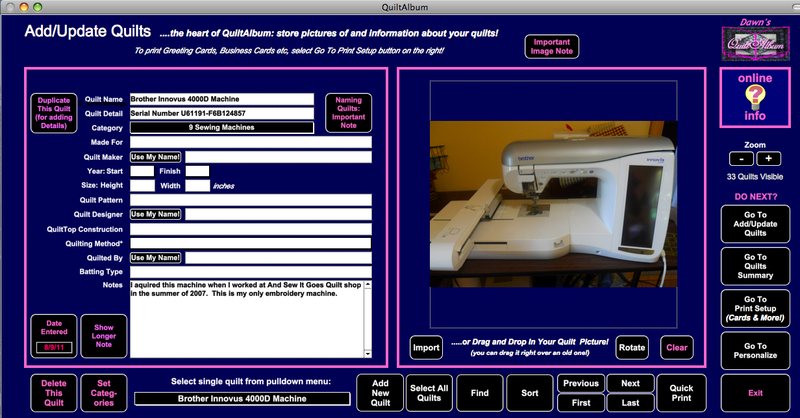 I've found another use for my QuiltAlbum software. 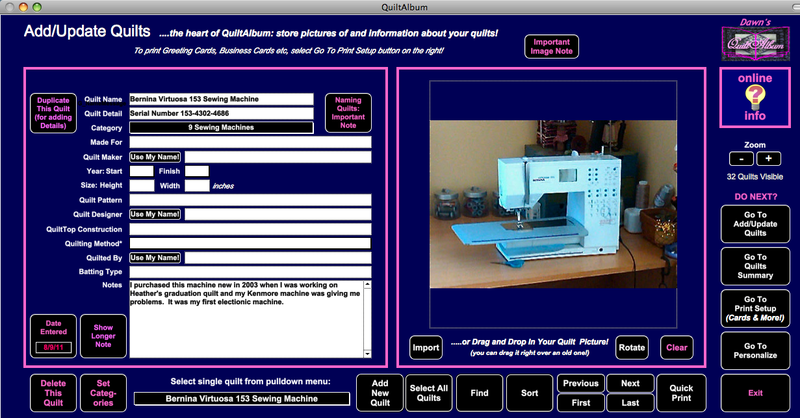 Along with adding my quilts to the data base, I've decided to add in my Sewing machines. 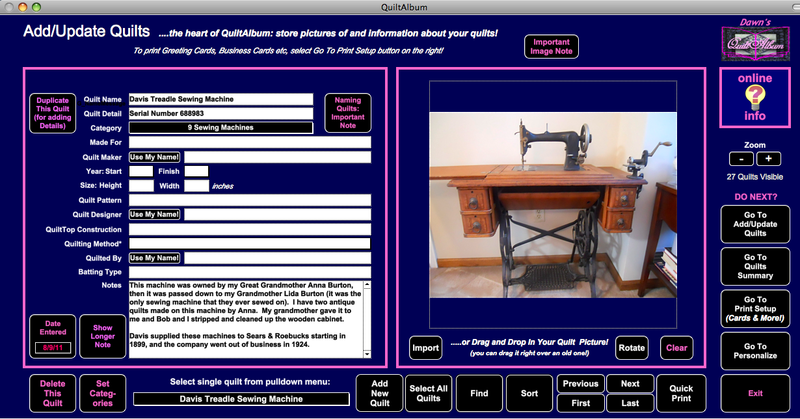 This is the page for my antique treadle machine that my Grandma gave me. (You can click on the pictures to enlarge them to see better). I set up a category for Sewing Machines, so in my notebook of print outs, I can have a special section for my little budding sewing machine collection. I'm using the spaces to record things like the serial numbers (having this info backed up electronically is a good idea for insurance purposes too). 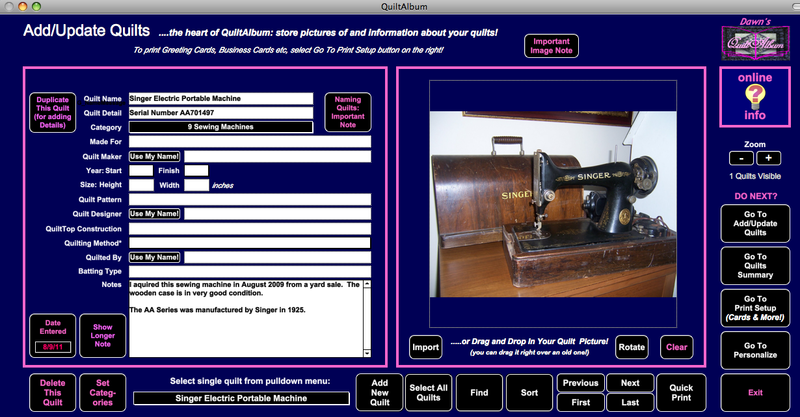 The notes section of the page is where I am recording special information like dating the machine, when I acquired it, and things I've sewed on it or other memories I have of the machine. I plan on adding memories to the notes section as time goes on, and maybe someday I'll note who I bequeathed each machine on to! I can also start keeping track of things like when each machine was last serviced, or any special TLC that each one receives. I even un-buried the embroidery machine and personalized the front cover and last page just for Abby :) This is the first cloth book that I've made ~ It was pretty easy, and kind of addictive. Now I'm sifting through all of my scrap bins to make an Eye Spy one! 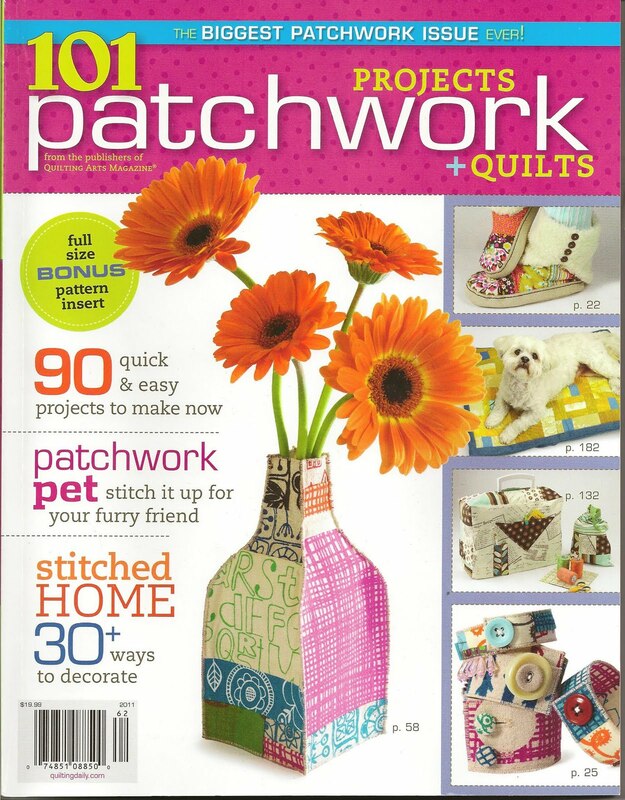 The pattern that I used to make this book was designed by Angela Pingel of Cut to Pieces and can be found in this magazine (along with 100 other really cool projects ~ what a bargain!). The big day is here! 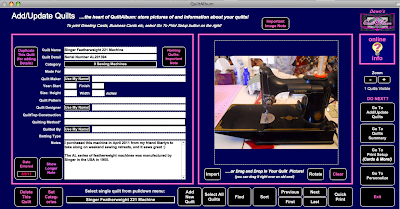 First I want to thank everyone who left great comments, I loved reading about how others would use the QuiltAlbum software with their own quilt collections. 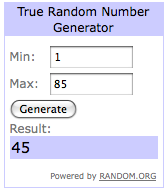 The Give Away post had 73 comments that resulted in 85 entries (some people were or became followers, but told me that in one comment). So I made a list of all the comments as they came in, and assigned numbers to each entry. 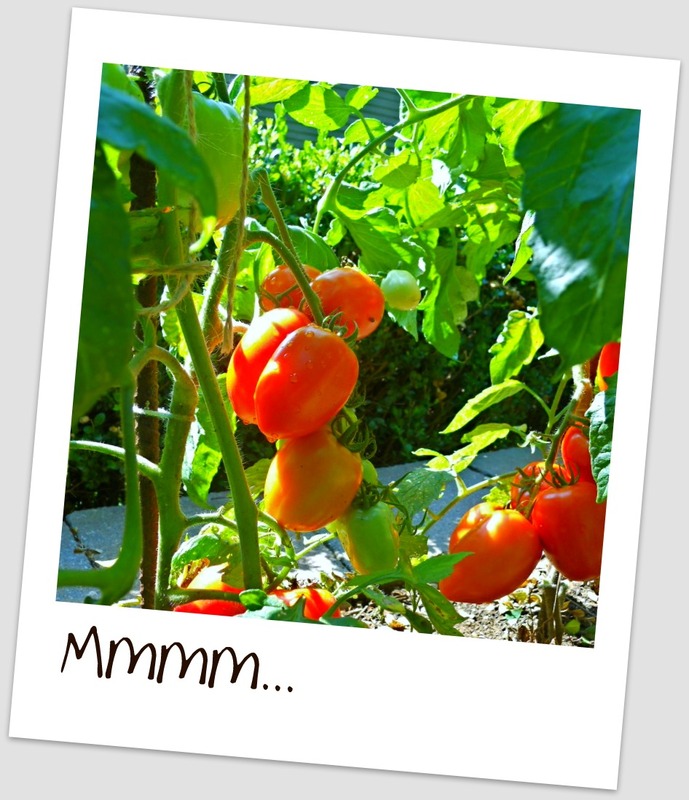 I enjoyed visiting all of you who have blogs too by the way! ...And the winner is Pat! (Yes, this is a portion of the list I made of the entries ~ I told you I'm not very high tech). Full disclosure: I have never met Pat in person, but I am a follower of her blog. 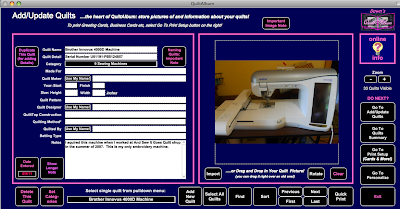 Check out the fun stuff she does with the AccuQuilt Go! Oh, my gosh....I was an avid scrapbooker (before I discovered quilting) and this would combine my love of that with my love of quilting!!! 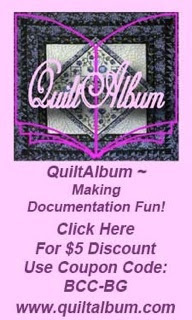 I have photographed ALL my quilt projects (with the intention of journaling about them). Maybe this program would give me the kick in the pants I need to get moving on this project (especially if it's as easy to use as you say). Please throw my "hat" in the ring for this, okay? Thanks!!! 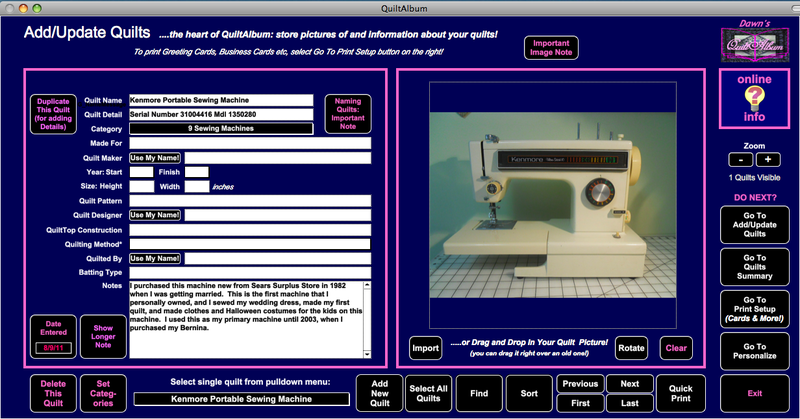 If you didn't win this Give Away, remember the software is very affordable at only $29.95 for the downloadable version. Make sure you take advantage of QuiltAlbum's generous offer for my readers of $5.00 off if you fill in Discount Code BCC-BG at check out. 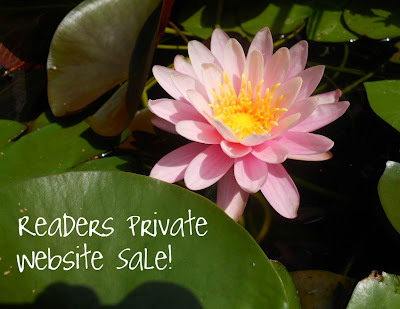 You can pass on this offer to friends too ~ I'll be leaving the link with the discount code on my sidebar for a while. I'm jealous... 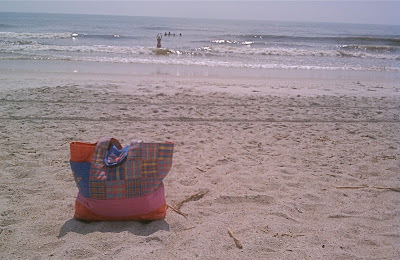 Yes, I got a little day out Monday to Alexandria, but my Madras Summer Tote got to go to the beach. Not just any beach, but my Madras Tote hitched a ride with Heather and is enjoying time sunning itself on the beach in Florida! My tote even sent this picture back to rub it in how she gets around more than me ~ can you believe the audacity! My Circle Gets the Square pattern was spotted at AccuQuilt too! 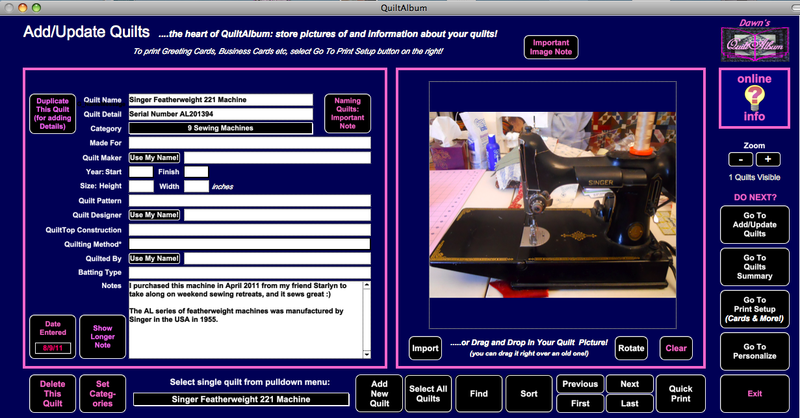 It's completely AccuQuilt Go! 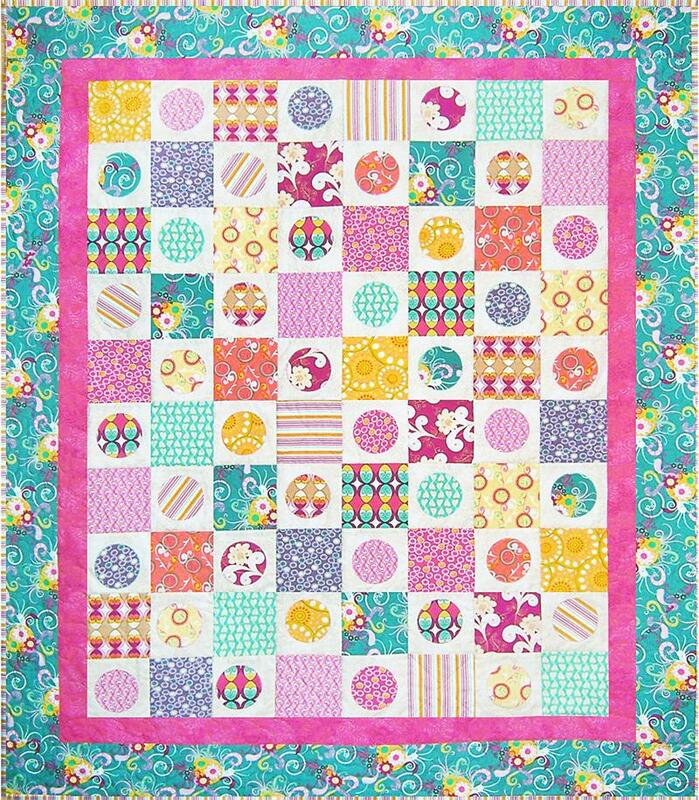 Cutter Friendly, but of course all of these projects can be made without an AccuQuilt cutter as well. 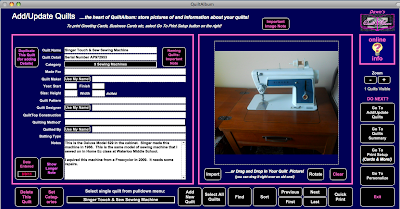 ***And Last Call to get in on the QuiltAlbum Give Away! Click Here to read about the give away. One lucky reader will win a copy of the software from QuiltAlbum tomorrow morning at 6:00 a.m. EST! Having an Anniversary called for a day off work, so Hubby and I took a Monday Mental Health day and drove down to Alexandria Virginia and spent the day wandering through Historic Old Town. I love walking through towns just snapping pictures of cool old buildings. I love regal City Halls. I'm starting to get a collection of city hall pictures ~ I'm not sure what that's about. It was a beautiful day, with lots to see and wonderful places to shop and eat. One of the historic sites we toured was the Stabler-Leadbeater Apothecary Museum. This Apothecary shop was a family business that operated at this site from 1796 until 1933. When it closed for business this is what it looked like, all the fixtures are original. The city of Alexandria now owns it and operates it as a museum. It's a very interesting tour. This note was there, written on behalf of Martha Washington, requesting a quart bottle of castor oil to be sent out to Mount Vernon. It's dated April 22, 1809, Martha was in failing health at that time, and passed away one month later. I love handwritten notes from the past ~ I think they connect us on a personal level...make sure that you write things down sometimes and don't always type them! My favorite part of the Apothecary though was this upstairs storage room. It was absolutely full, floor to ceiling, with these old containers. ...I was in antique storage bin heaven ~ so cool! Alexandria is right outside of Washington DC (just on the other side of the Potomac River), and well worth spending an afternoon there if you get the chance to visit the area. Yesterday was a fun day, one of those "Take a Breath" kind of days that we all need. 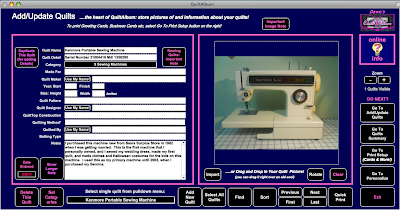 Tomorrow I'll be back to some quilty stuff ~ but in the meantime, don't forget that our Give Away for the QuiltAlbum software is still going on! Go Here to my Previous Post and leave a comment for your chance to win! One lucky winner will be drawn on Thursday morning at 6:00 a.m EST!